The ‘Colorful’ Revolution of Kyrgyzstan: Democratic Transition or Global Competition? Bingöl, Yılmaz, “Turkey’s Policy toward Post-Soviet Central Asia: Opportunities and Challenges,” Research Institute for International and European Studies (RIIES), Research Paper, no. 47, May 1998. Bingöl, Yılmaz, “Nationalism and Democracy in Post-Communist Central Asia”, Asian Ethnicity, vol. 5, no., 1, February 2004, ss. 43-60. Enginsoy, Ümit, “Kırgızistan Dersleri”, NTV Haber, 28 Mart 2005, ayrıca http://www.ntv.com.tr/news/315774.asp#BODY, adresinden ulaşılabilir. Peterson, Scott, “Oasis of Democracy Shrinks”, Christian Science Monitor, vol. 92, no. 246 (November 13, 2000), ss. 7–10. Talbott, Strobe, “Promoting Democracy and Prosperity in Central Asia”, US Department of State Dispatch, vol. 5, no. 19 (May 9, 1994), ss. 280–2. ISNAD Bingol, Yilmaz . "The ‘Colorful’ Revolution of Kyrgyzstan: Democratic Transition or Global Competition?". 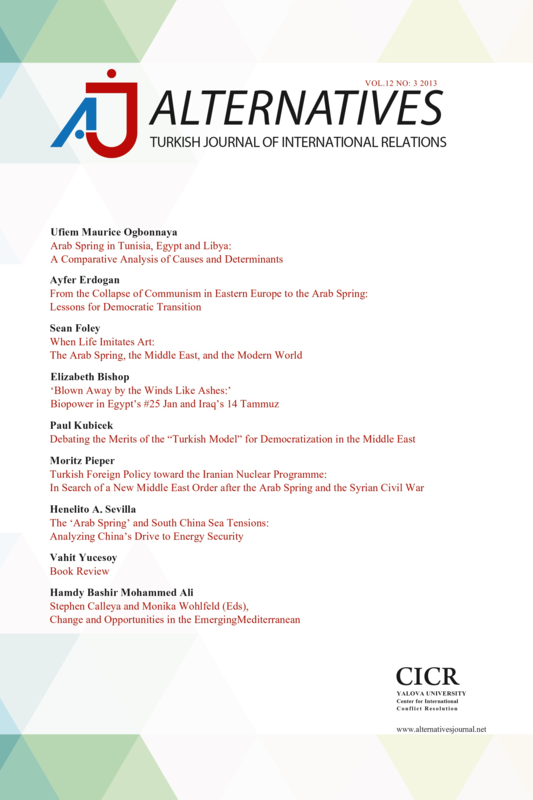 Alternatives: Turkish Journal of International Relations 5 / 1&2 (June 2006): 73-81.